Do you need a company that can deal with your Green Rubbish Removal? Are you Landscaping? Maybe need to get rid of your garden clippings? Are you fixing up a overrun garden and lawn situation? – These are all great reasons to call on the Green Rubbish Removal specialist at Skip Bins For Brisbane. They have best skip bin prices in Brisbane and they do all your green rubbish removal for you. Simply call them and set a date, they deliver the skip bins, you dispose of your green waste and they take it off your hands. EASY. They offer the easiest way to keep those scraps and leaves out of your way so you can see your progress. 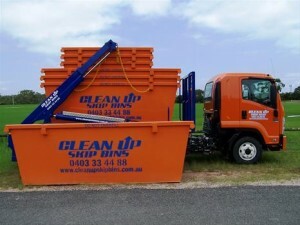 They are a cost-effective solution to your green removal problems and Skip Bins For Brisbane deliver skip bins to you. Skip Bins for Brisbane also offer same-day delivery service (when available) at affordable prices to all Brisbane locations whenever you need them. The Skip Bins for Brisbane team clean up that waste with no stress, leaving you with a tidy backyard, front yard or garden area. Don’t let the green rubbish mountain grow into a plant that eats family pets and children, Call Skip Bins For Brisbane and ask the about theirone-offf and regular deals. The Green Rubbish Removal experts have you covered with competitive price and a professional team at Skip Bins for Brisbane, no skip bin too full. Green Rubbish Removal is as easy as calling Skip Bins for Brisbane, JOB DONE. Skip Bins for Brisbane is all about customer satisfaction. We guarantee we deliver and take away our skip bins on time, making our service reliable as well as effective in clearing your path where ever you need them. Green Rubbish Removal isn’t something we don’t think about much until you need it. 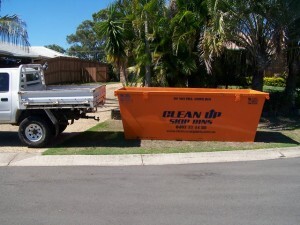 Skip Bins for Brisbane offers daily/regular service for all botanical gardens, hotels and even homes. They also specialise in one off delivery/pick up. Remember our name and get your rubbish removal organized quickly and efficiently.